Some people don’t like it, but they don’t know that spinach is one of the most beneficial foods for them. Because of its neutral taste it is easily adaptable in the recipes of many smoothies and drinks. Spinach can help you in the weight loss, cleansing your skin and keep you safe from many diseases. With a single serving of spinach you will receive the necessary vitamins and antioxidants, which makes it a great addition in your morning smoothie. 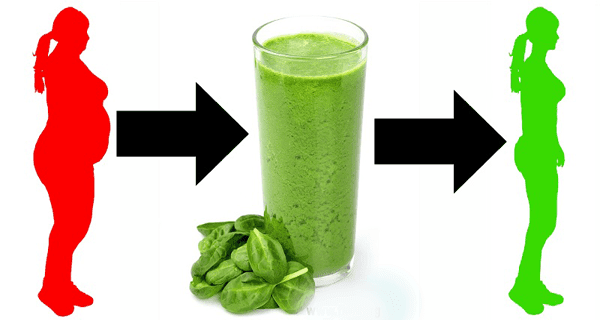 Today you will learn five spinach smoothie recopies that will burn your fats, keep you safe from diseases and purify your skin. This smoothie is great for the hydration of your skin and purification of the body. The benefits of coconut milk and water for the skin are well known. The lime juice is very important for the detoxification of the liver. The spinach provides your body with plenty of health benefits. The peaches make the smoothie juicier, while any refined sugars aren’t needed at all. Peaches include polyphenols that are very effective fighters against cancer cells. The peaches and banana are very beneficial for our body when combined with spinach. They will also overpower the taste of spinach which is good for the people who don’t like spinach. NOTE: If you like you can add ½ a cup of plain yogurt or almond milk in this smoothie. Take the kernel out of the peach before putting it in the blender. This smoothie contains whole grains which enhance the metabolism and contain other ingredients that have anti-inflammatory characteristics. The blueberries provide you with antioxidants. This recipe will provide you with the needed amount of vitamins and minerals including calcium, vitamin C, lutein and many others. This smoothie will provide you with the needed energy that is required for the rest of the day. You can also consume it after your workouts. Any of these spinach smoothie recipes will be great choice for you because they are very beneficial for your health. You should add the spinach in your meals because it has many health benefits for you and you don’t want to miss them.